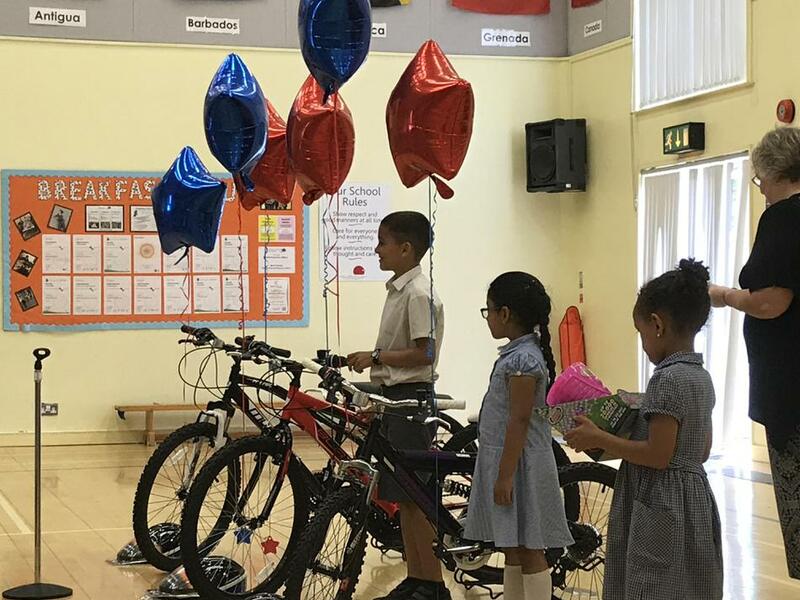 Today, the 100% Attendance assembly took place. 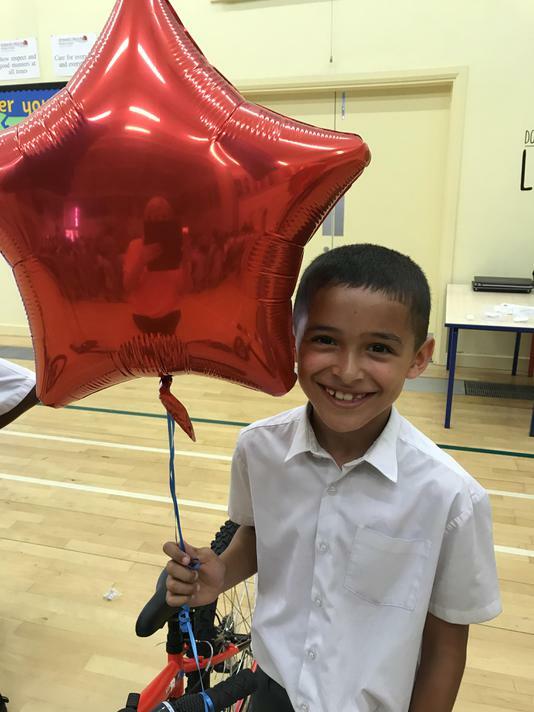 All pupils received their bronze, silver and gold badges for 100% over the Summer term, two terms and full year. 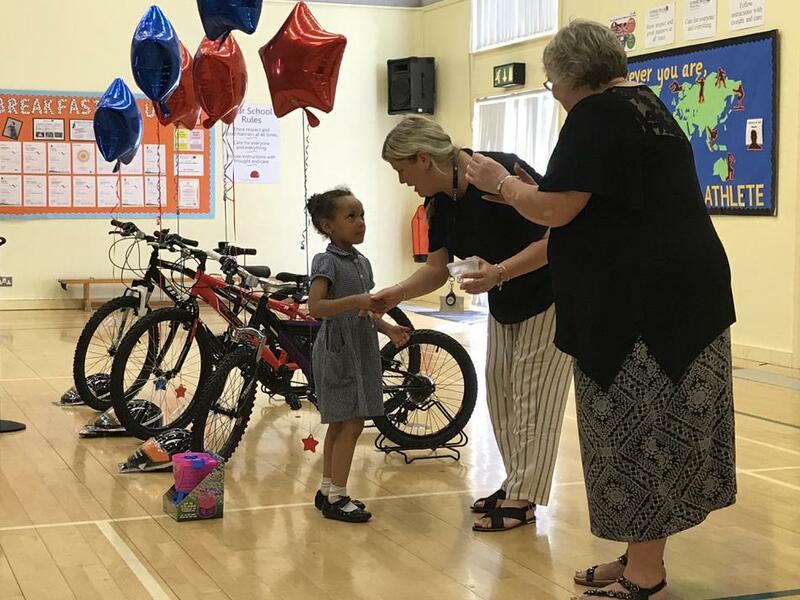 Congratulations to all pupils who received their badges! 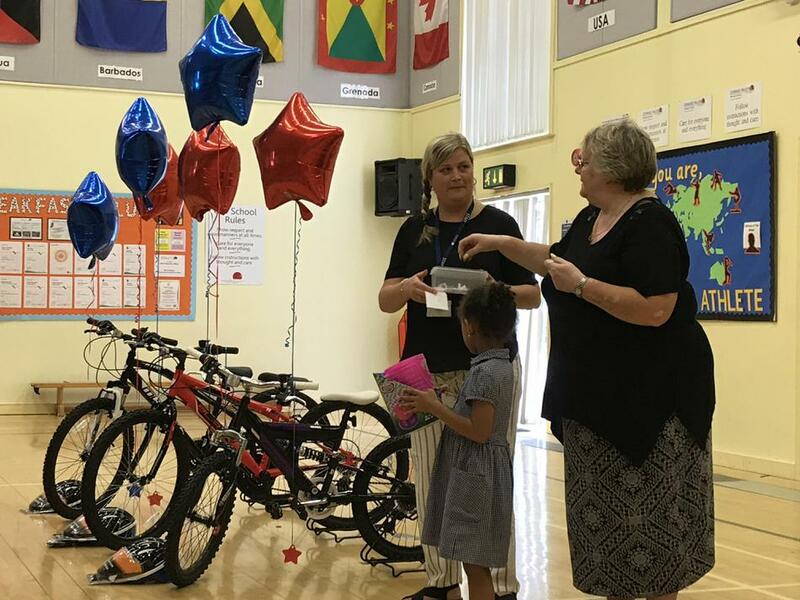 In addition, the bike raffle took place. 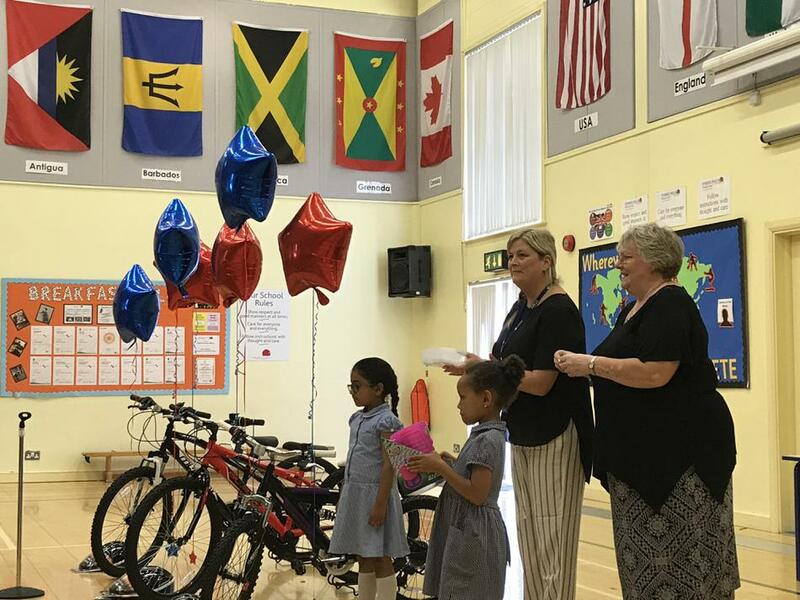 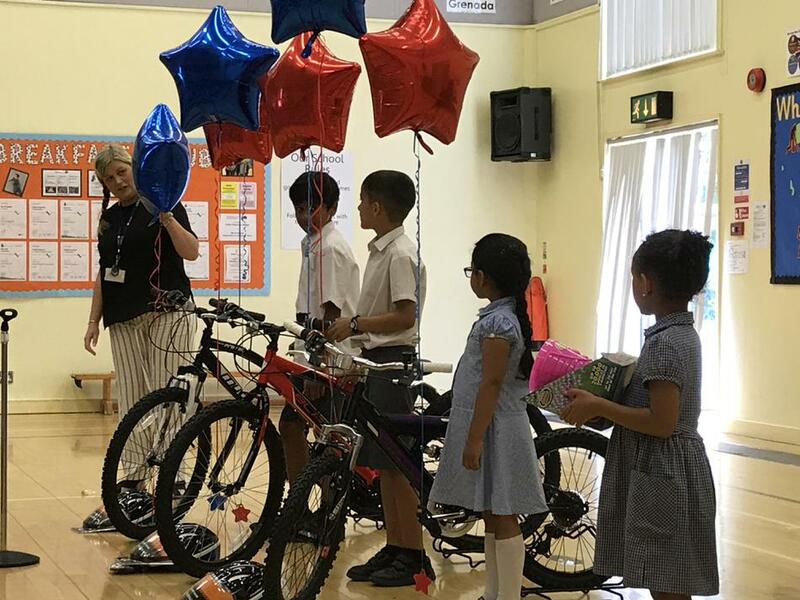 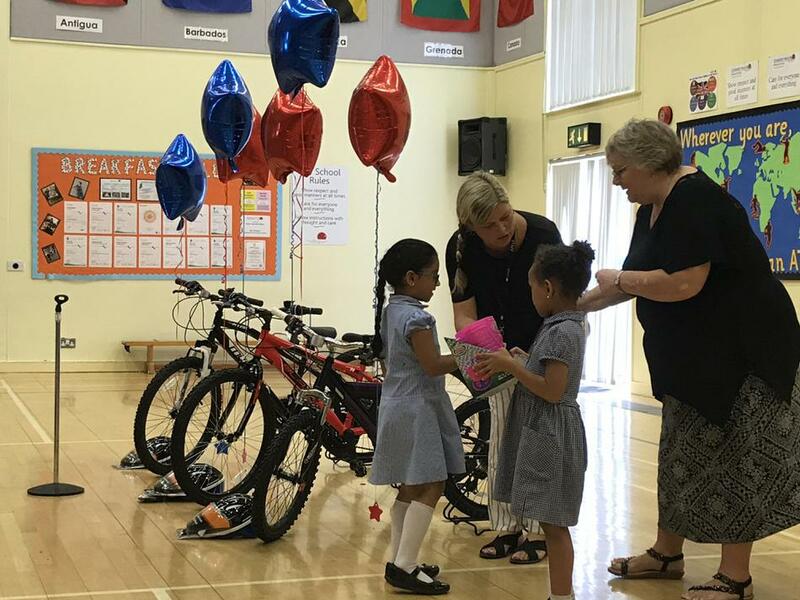 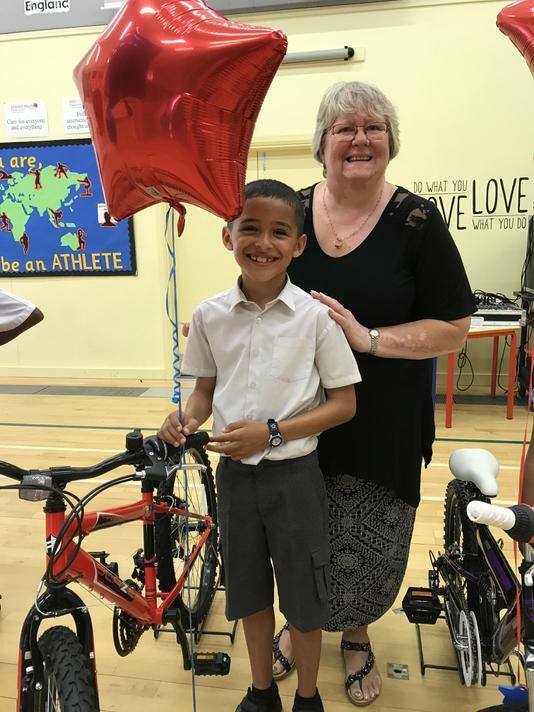 Pupils who had 100% attendance over the year had their names put into a draw where they could win a brand new bike! 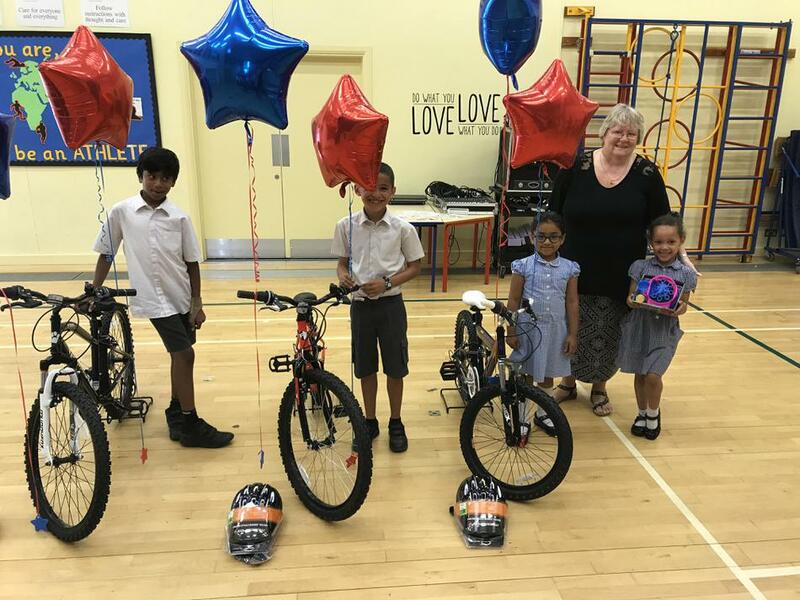 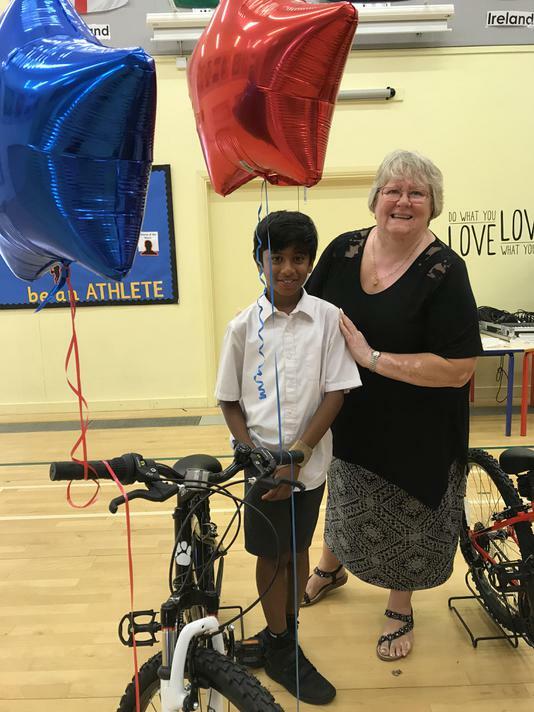 Well done to Jayden, George and Ananya who won a bike. 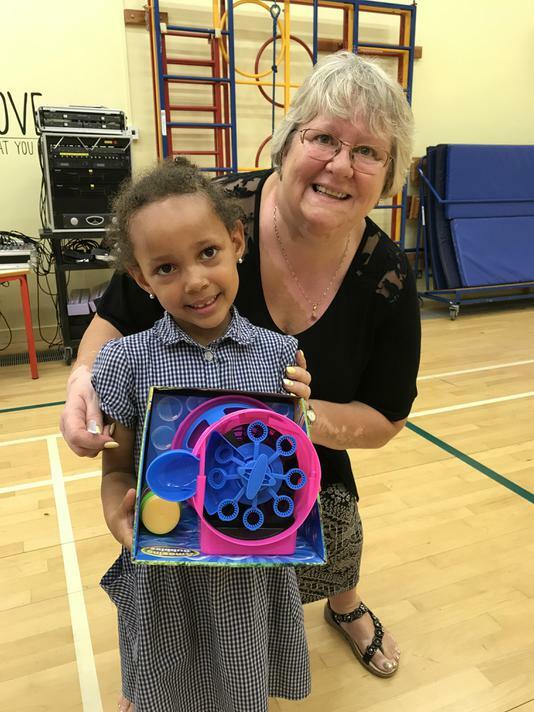 Congratulations to Faith who won the attendance prize for Early Years! 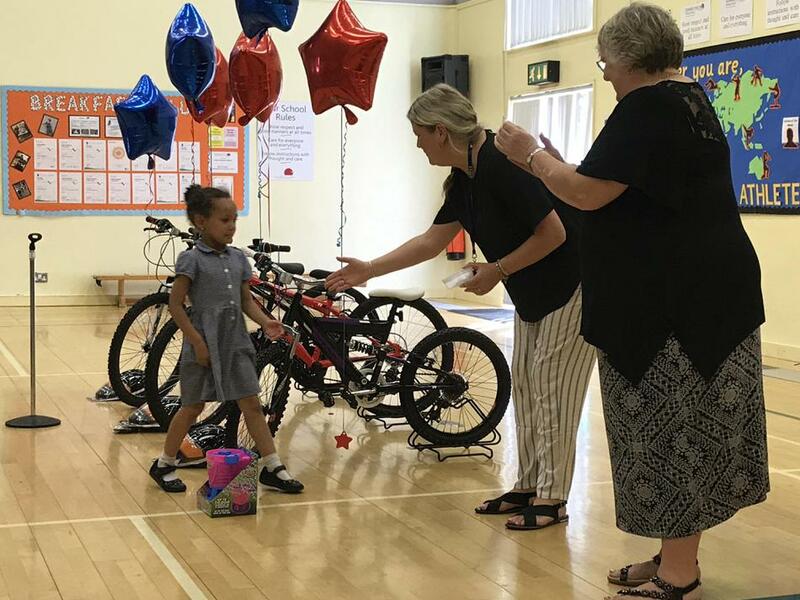 Congratulations to all the winners today!